MIAMI -- The loss of a pet can be devastating. And for some, it can be hard to imagine trying to go back to work right away after suffering that loss. Now some companies are coming up with a solution for that: pet bereavement days. CBS Miami reports, that when Erica Lee lost her beloved dog "Chief" words could not describe the amount of pain that she felt. "Chief was the best dog ever. He was very sweet, loving. I was heartbroken," she said. Lee's company allowed her to take a day off to regroup, and to help her son understand the tremendous loss. "Being able to stay home with him and grieve with him was invaluable. It was so, so important to me," she said. Though pet bereavement days aren't required under federal or state laws, several national companies are now allowing mourning pet owners to take time off to grieve. Software company VM Ware and Maxwell Health gives employees flexible days off. Kimpton Hotels and Restaurants allows managers to grant up to three days away from work, and pet insurance company Trupanion gives employees one paid pet bereavement day. "We allow people to actually do that grieving process and just, just be able to heal. I think you need closure when you lose a pet, and it's important to have the time to do that," Dani Kahn, Trupanion said. 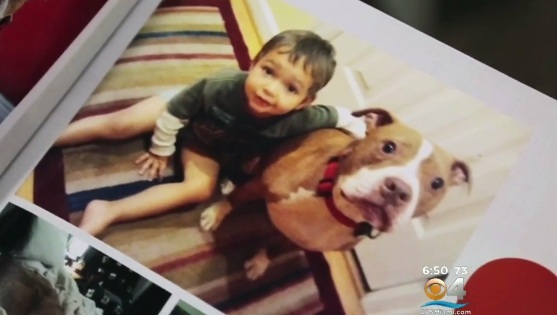 With 30 percent of pet owners surveyed saying they felt grief and sadness for at least six months after losing an animal, pet loss counselor Janet Zimmerman said it's critical that they take time off, CBS Miami reports. "It's really very, very difficult to function, and if you can't function, you certainly can't function at work, and you're really not the person you were before. You need the time to get back to some sense of normality," she said. Some question where to draw the line. If it's okay to allow time off for the death of a dog or a cat, what about a fish or a reptile? Lee said she's thankful for the time she had to grieve and the support she had from her employer. "This should absolutely be the norm for many businesses if not all," she said. Pets are clearly part of the family for many of us. Studies show people experience the same numbness, shock, disbelief, guilt, and anger as they would if a person died. Most grieving pet owners need a few days to a week to deal with the initial shock.